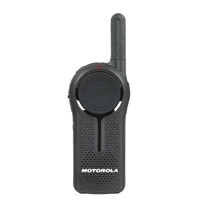 Motorola is the best known and most popular manufacturer of business two way radios in the world. You don't earn that title without producing top quality products. Motorola provides an excellent selection of radios, with products in all price ranges. 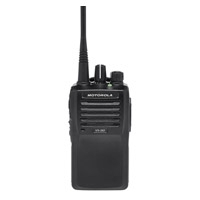 Their lineup includes 2 way radios for practically any use with many power/feature options. We stock the Motorola Business Radio Series, as well as the Motorola Commercial Tier Radio Series! Read more below to find out which series is right for you! 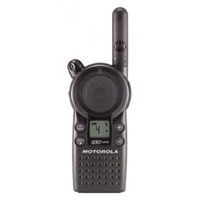 The Motorola Business Radio series is very popular for fixed, short range applications such as restaurants, retail stores, medical offices, manufacturing facilities, warehouses and many many more. Includes radios from CLP, CLS, DLR, DTR, RM, and RDX series. 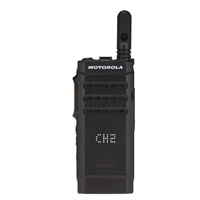 The Motorola Commercial Tier Radio series contains models that generally require more setup by a dealer. This series includes many former Vertex Standard radio models, as well as MOTOTRBO CP series and SL300, Mag One (BPR40), and DTR650. Small and lightweight radio with a low price and good feature set. Adequate for most short range applications. Small 900 MHz digital radio with great range and advanced features, such as one to one calling. License free. 900 MHz digital radio. 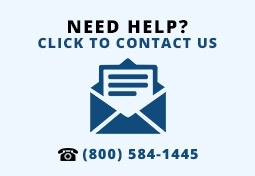 Phonebook, text messages, PC program-mable with custom groups and calling. License free. High powered and repeater capable UHF radio. Produces very loud audio with good clarity and durable design. Motorola's most popular radio. Digital sound and loaded with features. Great versatility and unmatched durability. Slim, sleek and lightweight radio with advanced digital sound and features. Innovative display option available. 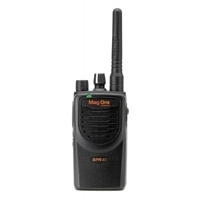 The Mag One BPR40 is a classic radio with a large user base. Nice proven radio at a value price.